I saw a great cartoon in France once, of a man sitting behind a desk burdened down by files, looking exasperated, with a dream bubble showing him happily working in the vineyards. The second image depicts him exhausted in the cellar, with tanks overflowing, dreaming of a quiet, orderly office life. The idyllic notion of owning a vineyard – lovingly tending the vines by hand and crafting vibrant, terroir-driven wines in a neat little cellar – is the wistful reverie of many a wine lover. The reality is, of course, not nearly as romantic. The work is back breaking (just spend one day harvesting the low lying grapes in Burgundy and you will know what I mean). There are countless pests and diseases that threaten the health of the plant on a daily basis. This is not to mention the uncontrollable variable of weather. Wine-related social media posts are currently flooded with images of vineyards in Champagne and Chablis ablaze with smudge pots (oil-burning mini fires), in desperate attempts to ward off frost damage. In just one night, or a couple of minutes where hail is concerned, crops can be utterly devastated. Wineries working on a small to moderate scale, without the luxury of large vineyard teams or fancy equipment to respond rapidly to such threats, are at particular risk. This is especially true for those based in marginal climates where rot, hail and frost are prevalent. Getting a palatable wine in bottle each year in these conditions represents nothing short of a feat of courage and skill. Enter Bénédicte and Stéphane Tissot. 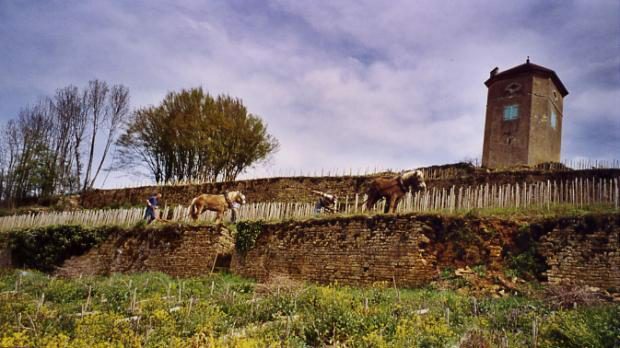 Based in the tiny Jura appellation, The Tissots own some 35 hectares of vineyards, manned by a team of 15 hardy souls. The Jura region is made up of just 2000 hectares of vineyards, on a narrow strip running 60km north to south in eastern France. The climate is similar to the Côte d’Or (Burgundy), with damp, cool winters and warm, mainly dry summers. The vines are planted at an average altitude of 300 metres. Domaine Tissot have not only made the bold choice of farming according to biodynamic principles, they are also adherents to the low interventionist movement (aka natural winemaking), fermenting with natural yeasts and limiting sulphur dioxide additions. The Tissot estate is that rare breed of winery that enjoys a cult-like following amongst the hipster sommelier set, but is equally well regarded by more traditional wine gatekeepers. I met Stéphane Tissot on a grey, chilly day. I’ll admit that I went into the tasting feeling as uncertain as the weather. Would the wines be that breed of murky, sour natural wines that I have difficulty embracing? Or would they embody the standard to which (I feel) this wine category should be aiming? While I can’t claim to have unabashedly loved all of the wines, I was impressed. There was a common theme of complexity, elegance and freshness running through the dozen or so cuvées we sampled. 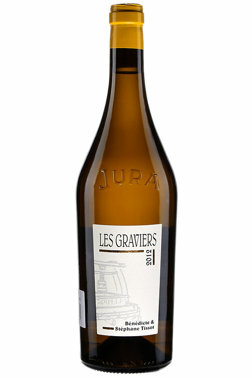 The savoury, earthy quality that makes Jura whites so intriguing was amply displayed. The reds, though beautifully textured and wonderfully vibrant, were less to my taste. The pretty fruit and floral tones felt a bit muted to me; overshadowed by volatile or bretty aromatics. 100% Chardonnay from the Arbois appellation. Stony, limestone scree top soils, over clay sub-soils. Les Graviers is a blend of 7 vineyards planted between 1952 and 2002. Moderately intense nose featuring chalky minerality and toasty aromas underscored by lemon and green apple. Brisk acidity is ably balanced by the faintly creamy, layered texture and well-integrated oak. 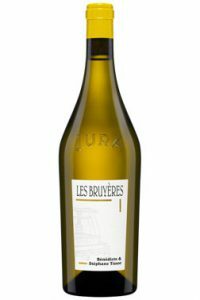 Very precise, with concentrated citrus, earthy/savoury nuances and grilled, nutty flavours. A subtle bitterness on the finish adds interest without masking the fruit. 100% Chardonnay from the Arbois appellation. Limestone-rich soils. 40 – 80 year old vines. Somewhat muted, rustic white*, with savoury notes, honey, floral tones and subtle minerality developing upon aeration. Cleaner on the palate, with crisp acidity, medium body, concentrated orchard fruit and earthy flavours. While fermented and aged in (mainly used) French oak, the imprint is very subtle and harmonious. Long, layered finish with subtle hoppy sourness. * I recommend decanting a couple of hours before serving to allow these reductive notes to blow off. 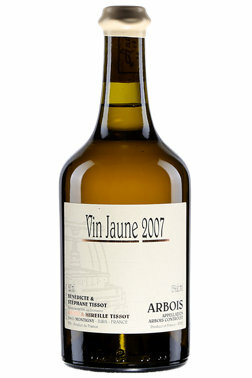 Vin Jaune is a unique, oxidative wine style made only in the Jura; aged for over 6 years in untopped barrels (initially under a veil of yeast, much like in Sherry). The grape used is the local Savagnin Blanc (a crisp, firm white). It is an acquired taste, but nothing beats it with an aged Comté cheese! Lovely old gold colour. Wonderfully complex aromatics featuring earthy, savoury notes, raw honey, baker’s yeast and ripe apple. The palate remains incredibly vibrant, with crisp acidity, a firm structure, yet smooth, integrated structure. Rich nutty, savoury flavours linger on the long, layered finish.